Salon Design In The Airport - D_parture Spa In Salon Today | Salon Interiors Inc. 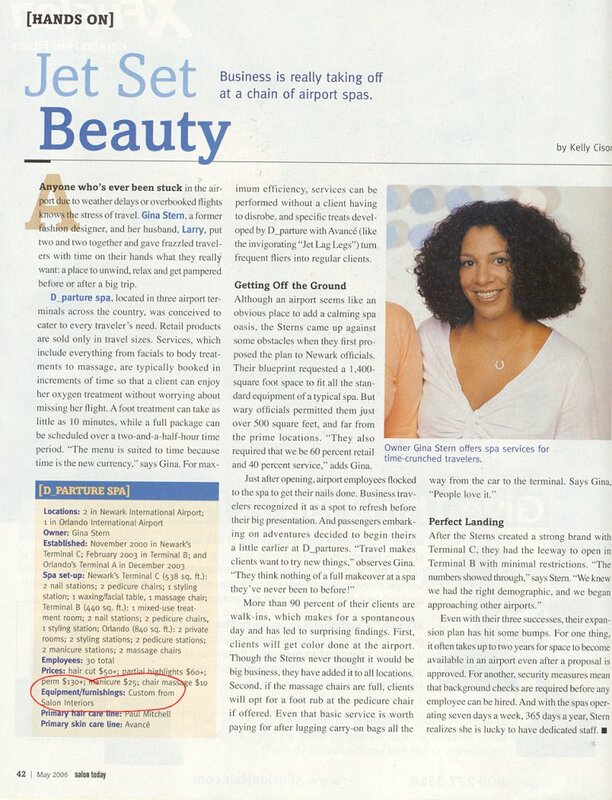 Salon Interiors is noted in the article sidebar as the manufacturer of D_parture Spa's custom salon furniture. D_parture Spa is great place to visit while in transit, offering massage and "pick me up" services for the harried traveler. Given a small space location, Salon Interiors worked with owner Gina Stern to achieve a maximum amount of working space with minimum impact of the flow throughout the salon.